Iran’s President stresses his country will not renegotiate the nuclear deal nor will it discuss its ballistic missile program. 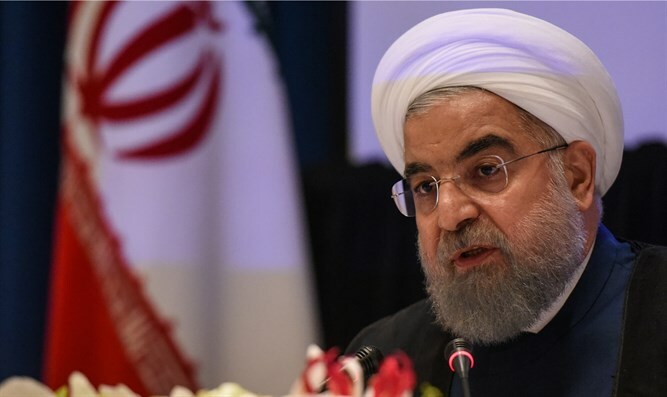 Iran’s President Hassan Rouhani stressed on Tuesday that the Islamic Republic will not renegotiate the nuclear deal it signed with six world powers in 2015, the Trend news agency reports. Renegotiating a deal that is signed after 30 months of negotiations and is confirmed by the UN Security Council is meaningless, the Iranian president reportedly said. He underlined that the Islamic Republic will not be the side that initiates the nuclear deal's violation, according to Trend. U.S. President Donald Trump recently decided to extend a waiver on nuclear sanctions that were imposed on Iran. However, he said it would be the last time he will do so and ordered European allies and Congress to work with him to fix “the disastrous flaws” in the 2015 deal or Washington would withdraw. In his remarks on Tuesday, Rouhani also rejected any negotiation over Iran's missile program. The Islamic Republic has several times test-fired ballistic missiles in recent months, raising the ire of the West. Rouhani said on Tuesday that Iranian missiles are a matter of Iran’s defense program and do not impose a threat upon any party. Regarding Iran's ties with the United States, Rouhani stressed that Tehran and Washington will not have relations unless the U.S. administration changes it policies towards Iran.